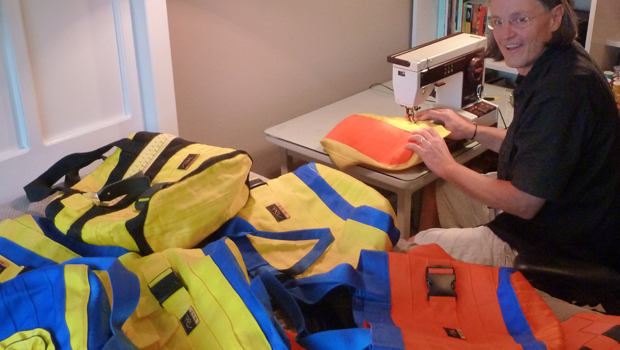 Tad Hurst, an ER physician, called The Making Of… Storyline to tell us about the line of bags he makes from the straps used by paramedics. See some of Tad’s bags here. how exciting. I listen to NPR all the time. Maybe our local will pick it up.